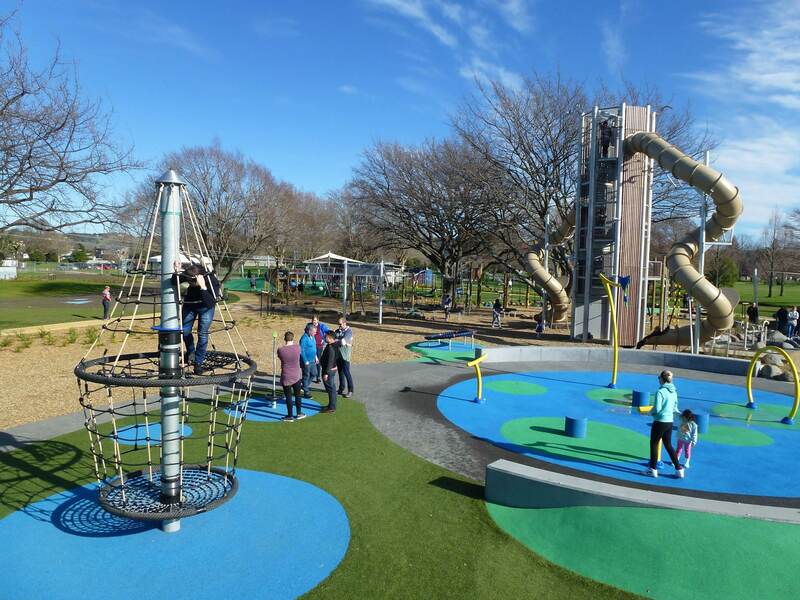 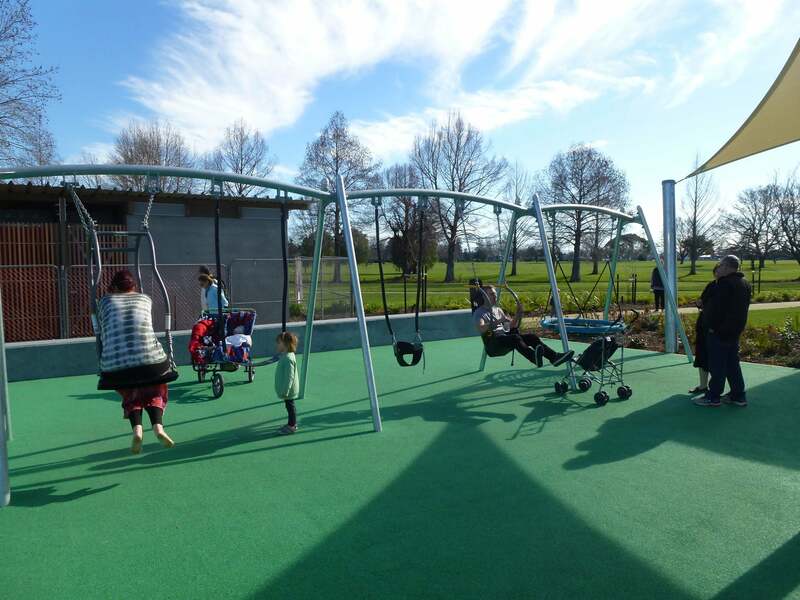 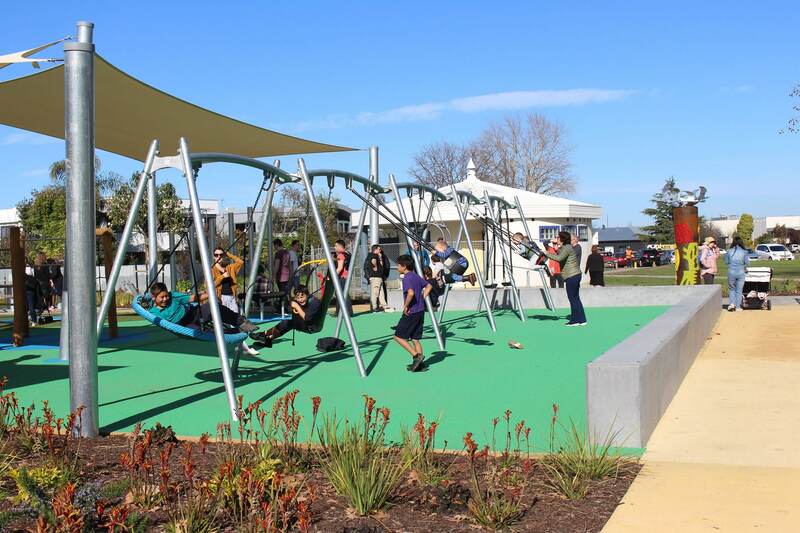 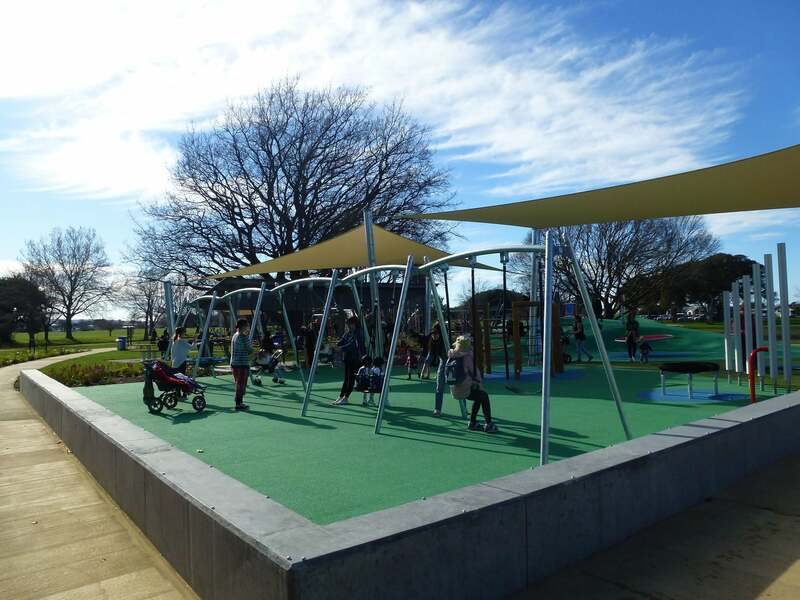 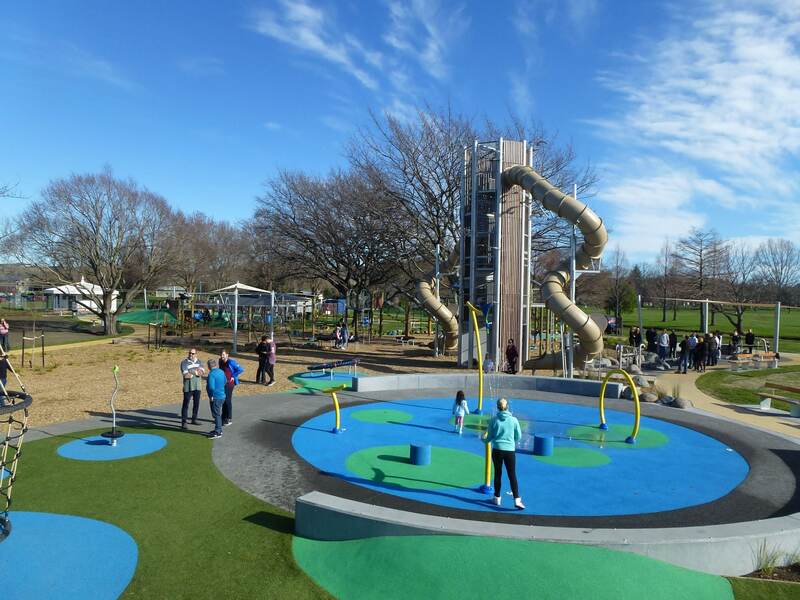 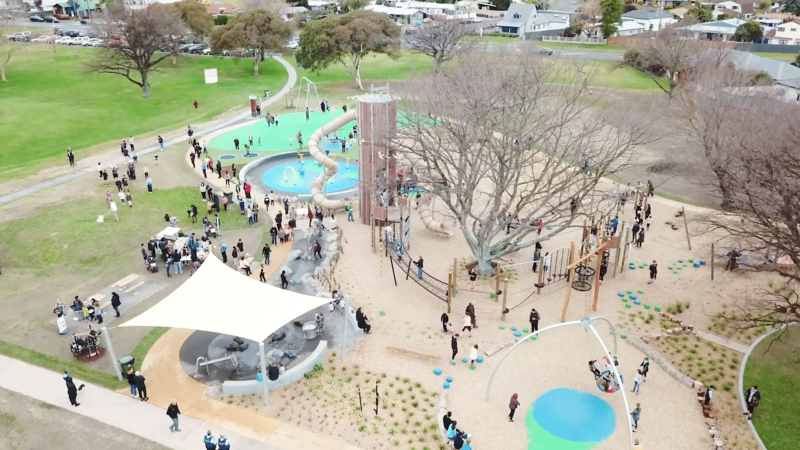 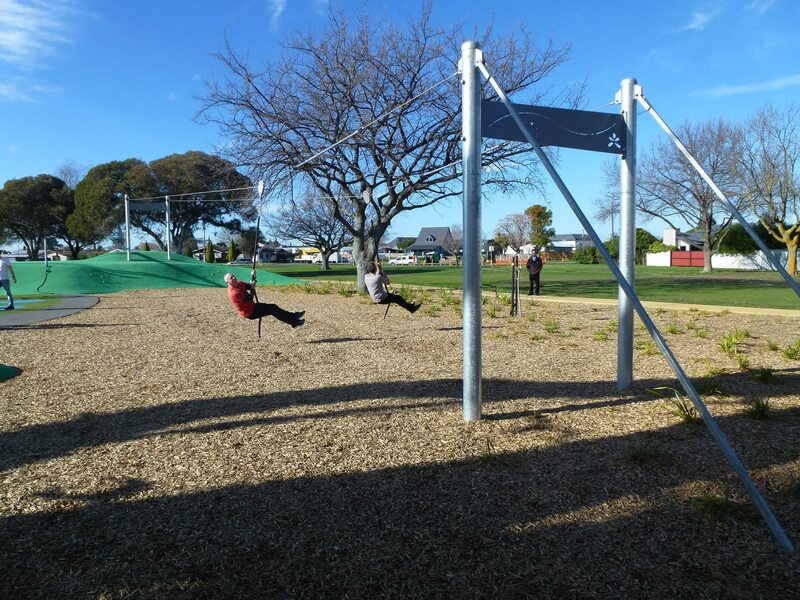 When Napier City Council and Boffa Miskell came to PGC, their vision was to create a world-class destination playground that offered a diverse range of experiences for a complete family day out. 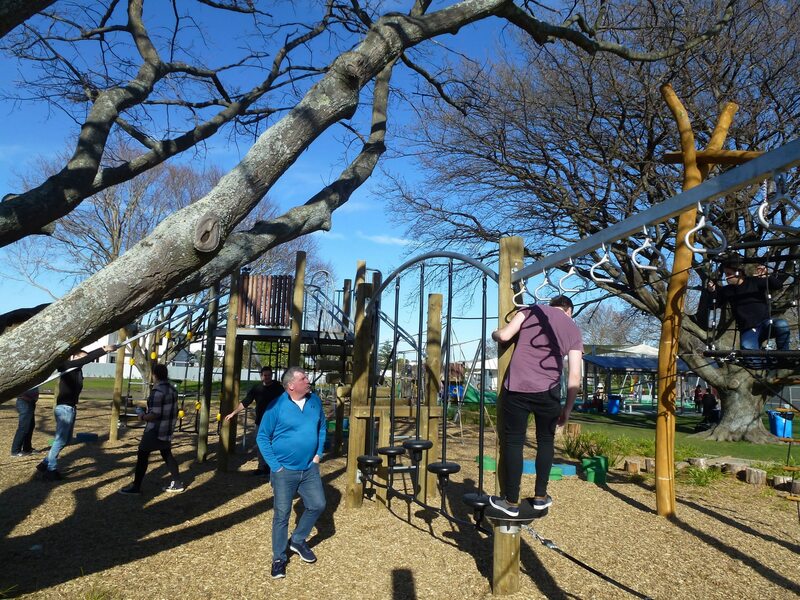 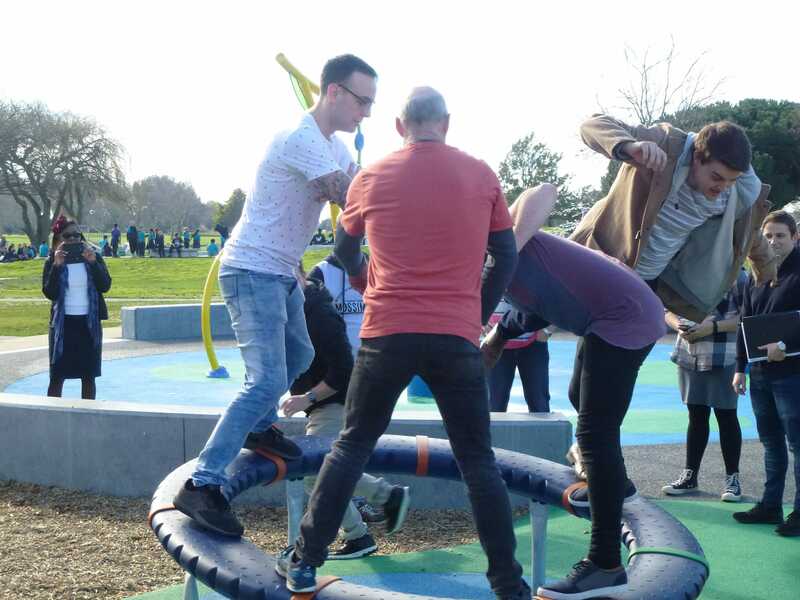 The aim was to allow people of all ages and abilities to play alongside each other, in areas offering similar experiences, but with different challenge levels. 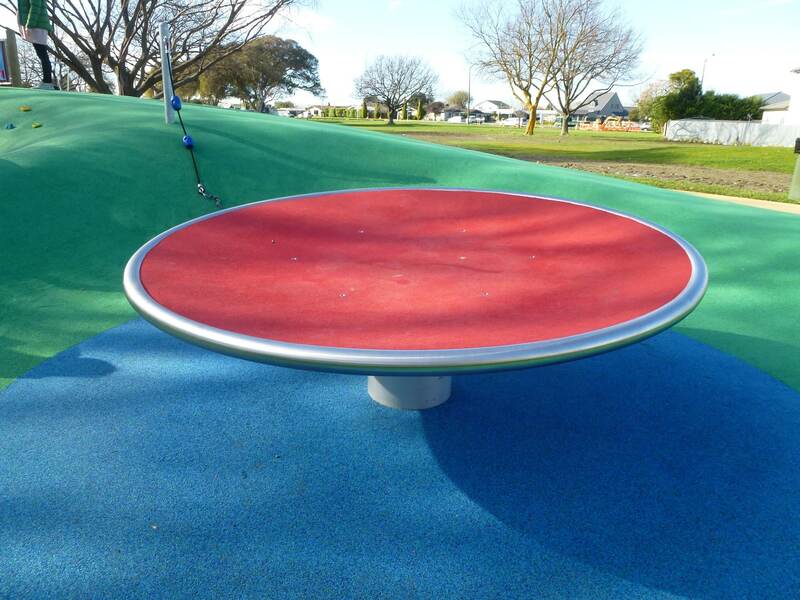 A skate bowl already existed at the eastern end of the park, so this was considered so the playground catered for older children here and younger children at the western end of the playground. 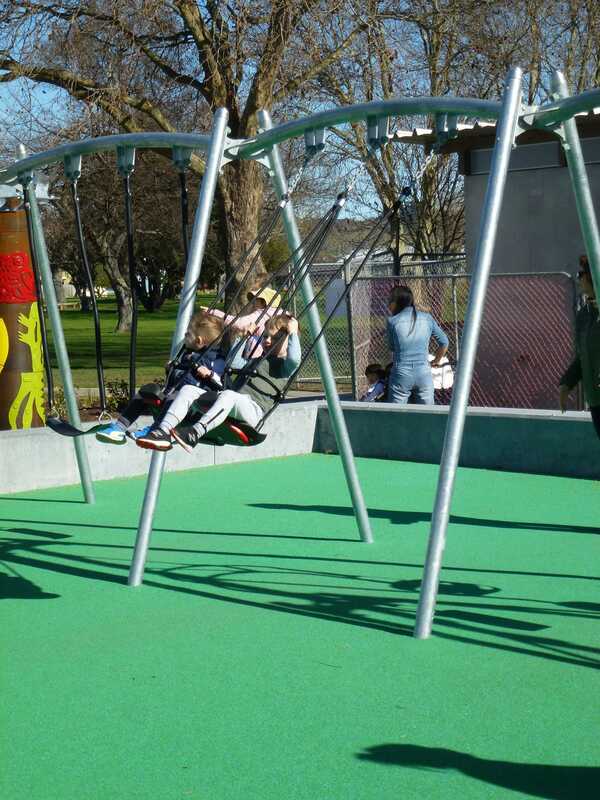 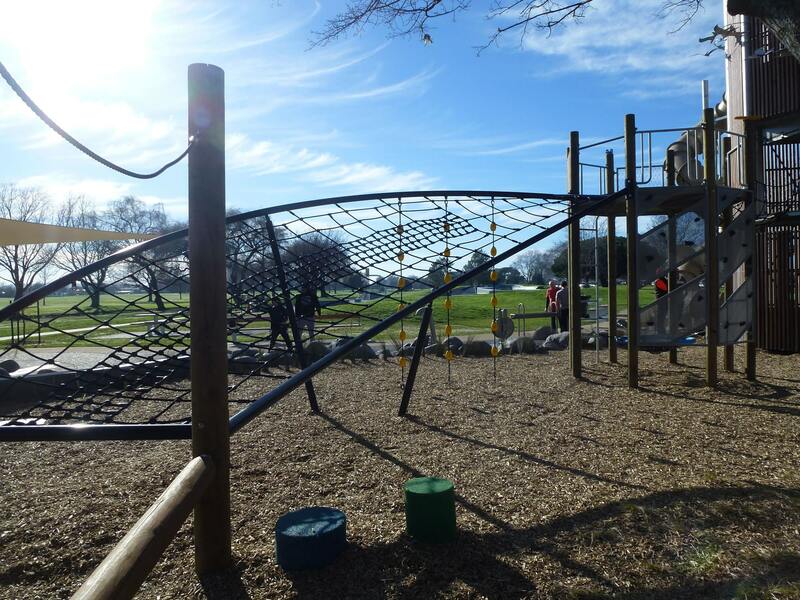 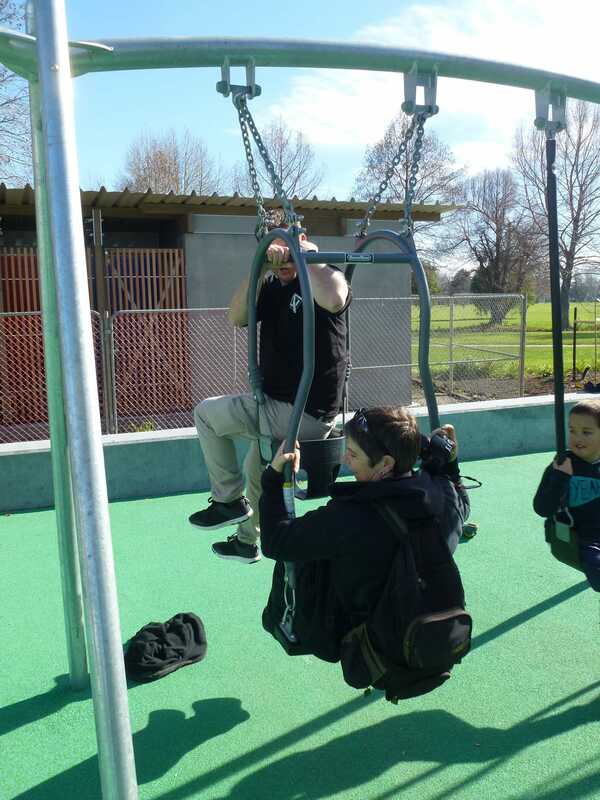 Anderson Park's playground offers out-of-the-box fun and physical and sensory adventures for all. 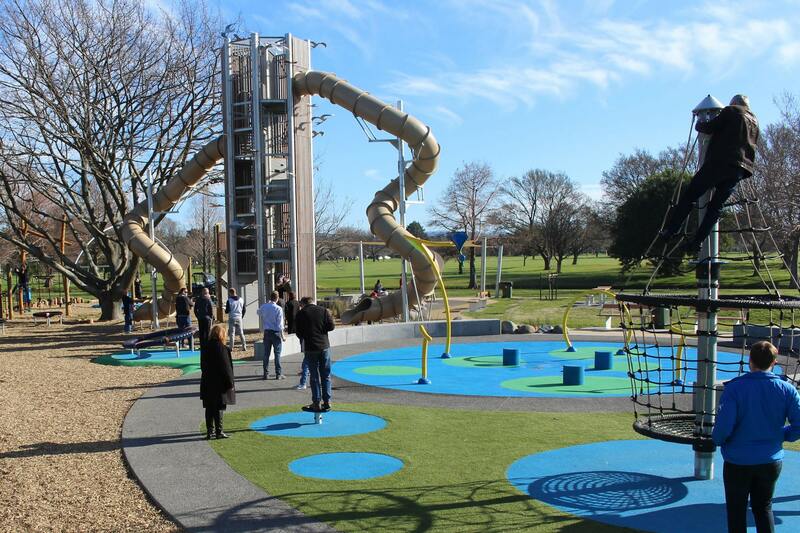 It represents a great collaborative effort over a 2 year period with Boffa Miskel – resulting in a destination level park with a huge variety of ‘wow’ play experiences. 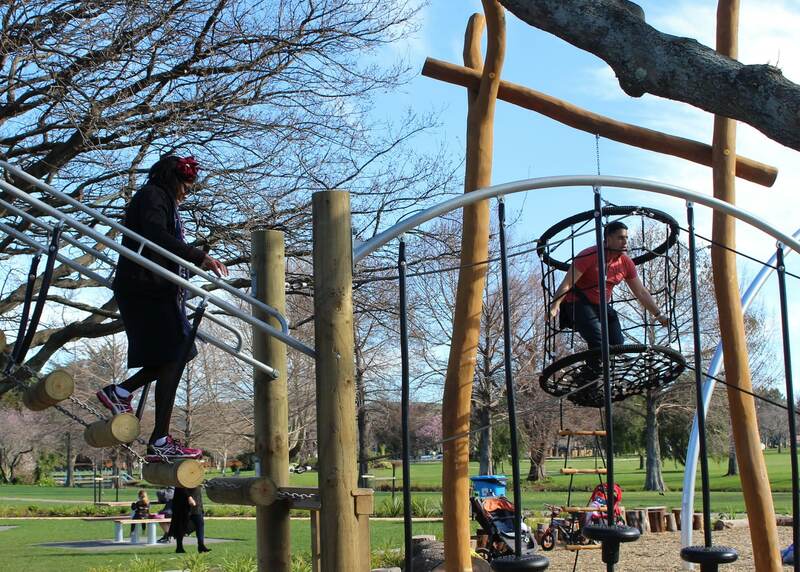 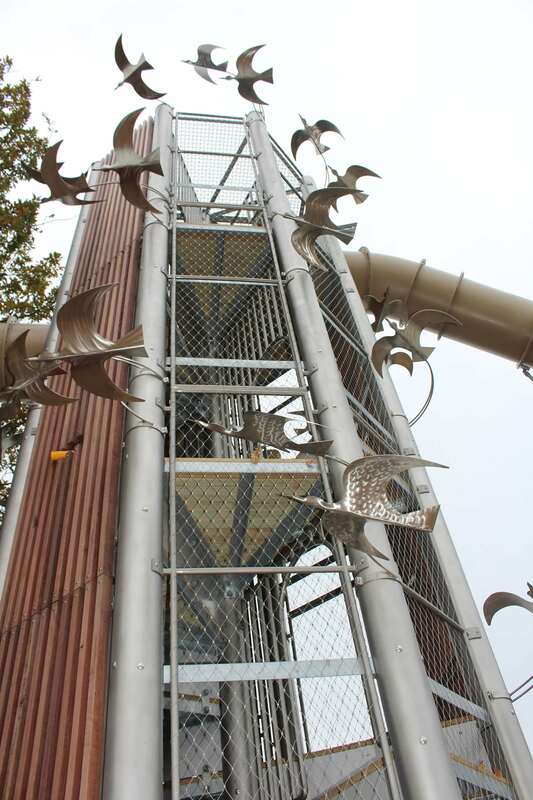 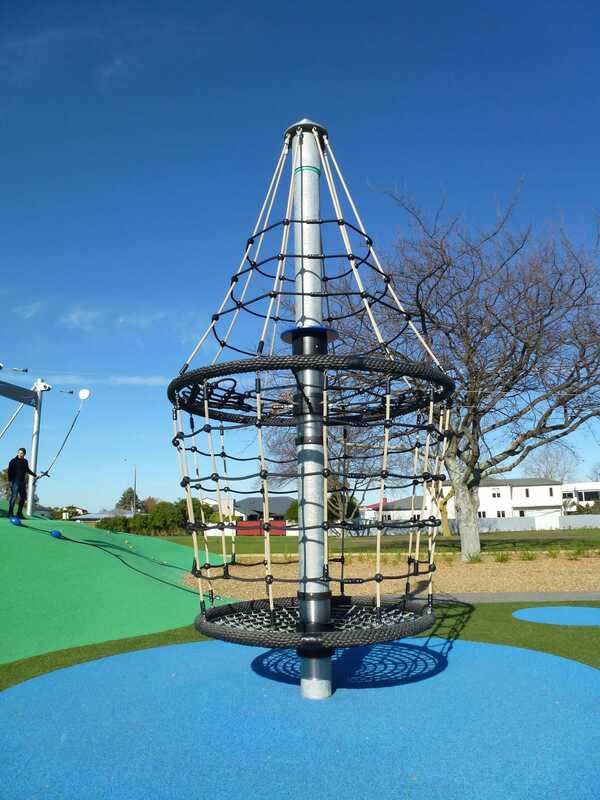 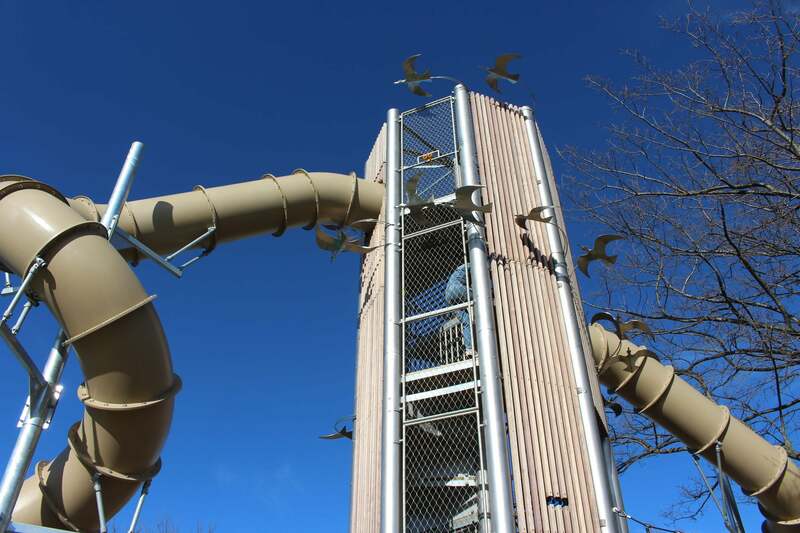 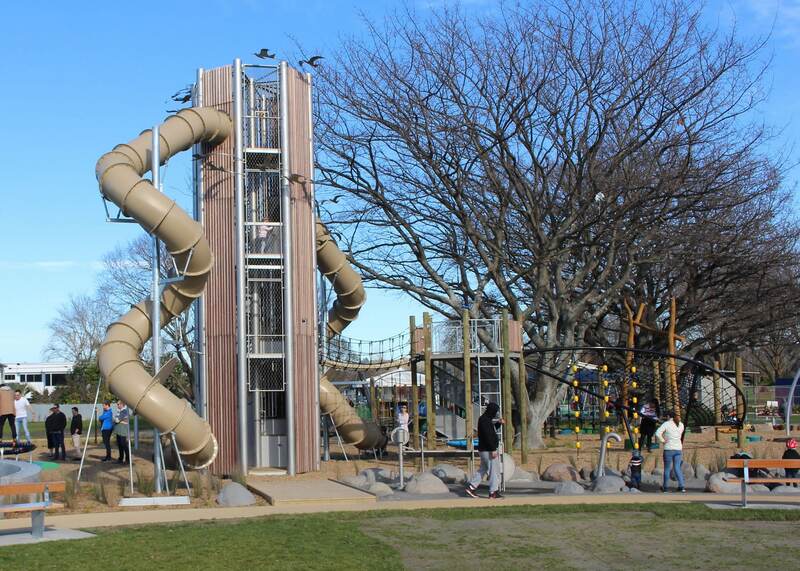 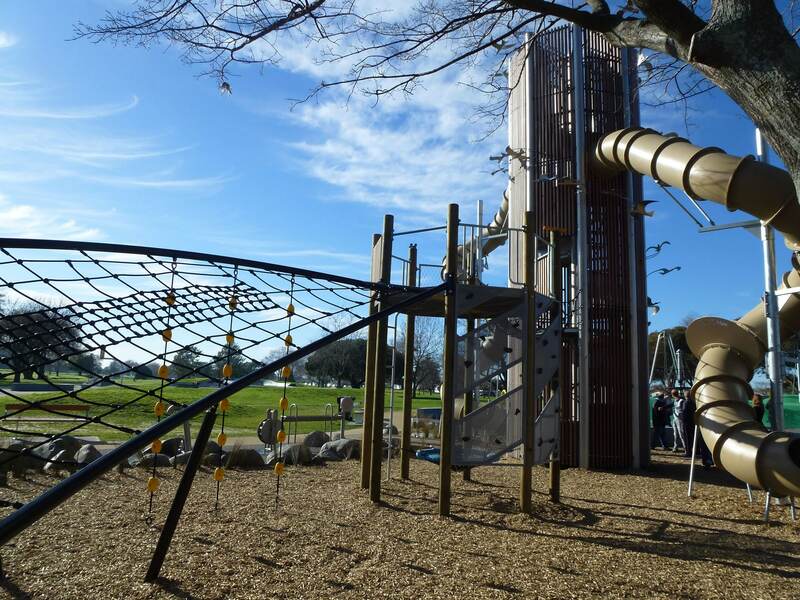 The standout feature is New Zealand’s tallest playground tower standing at 10m high with 2 tube slides. 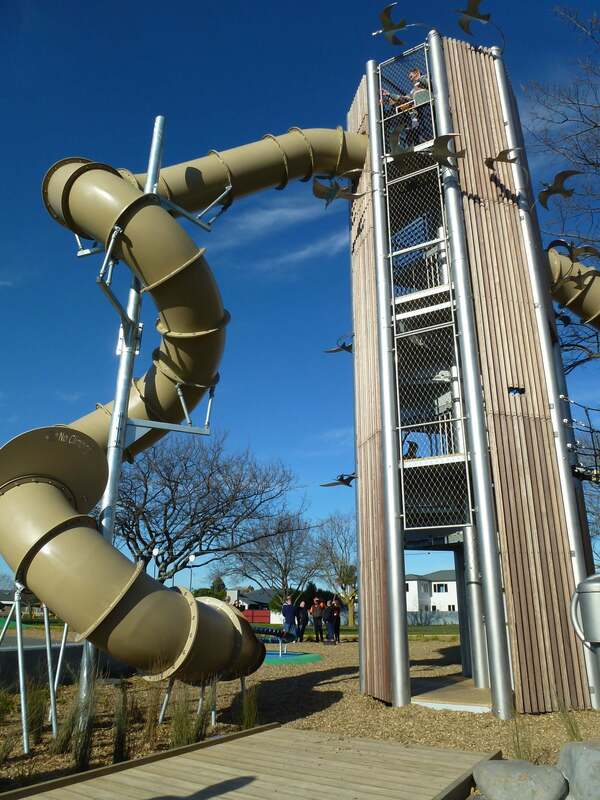 Three unique tower structures are all linked by fantastic and challenging equipment. 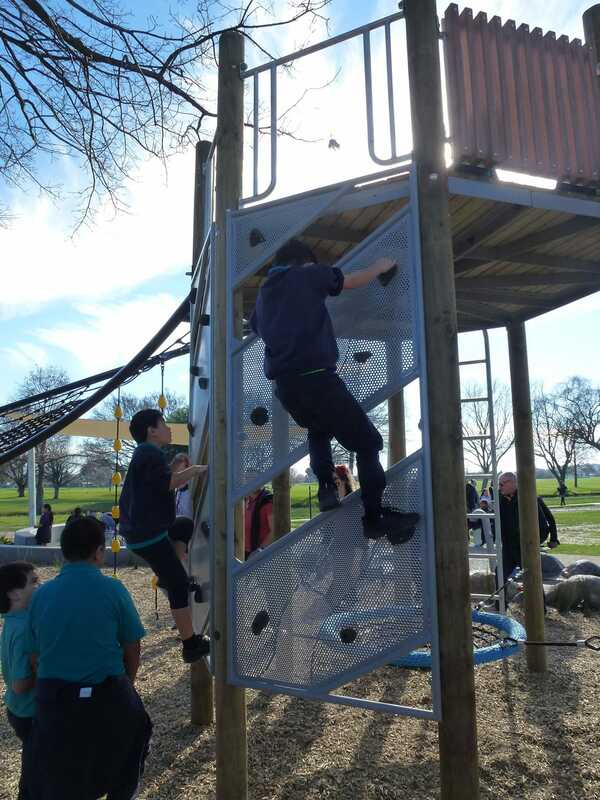 If you are lucky enough to take a visit, test yourself out to see if you can make it across without touching the ground. 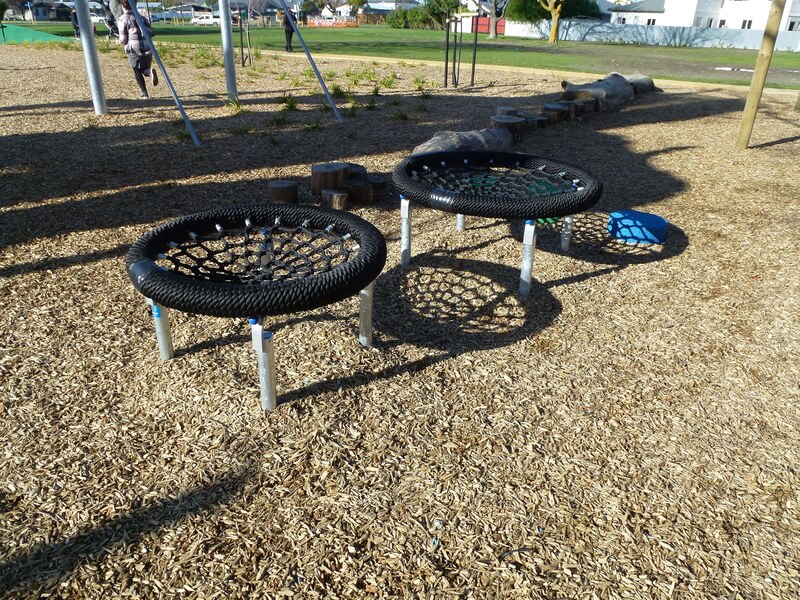 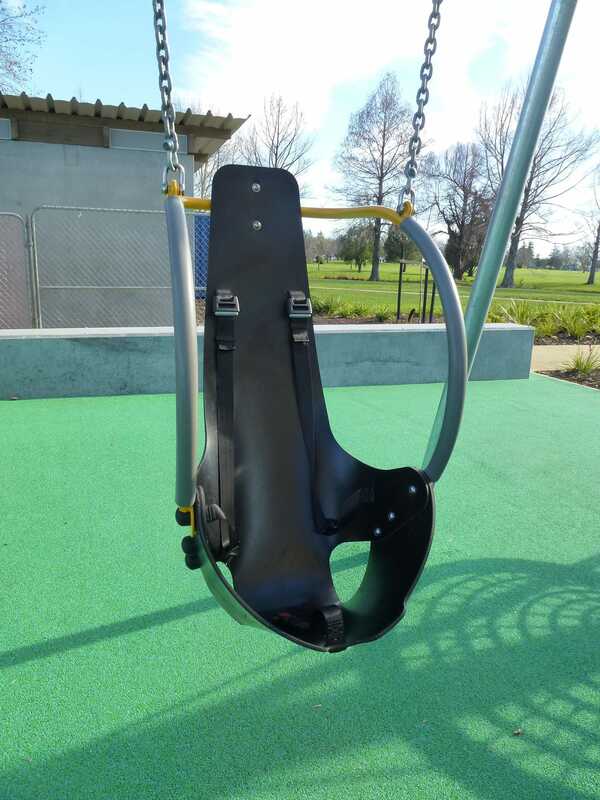 The playground includes the following equipment. 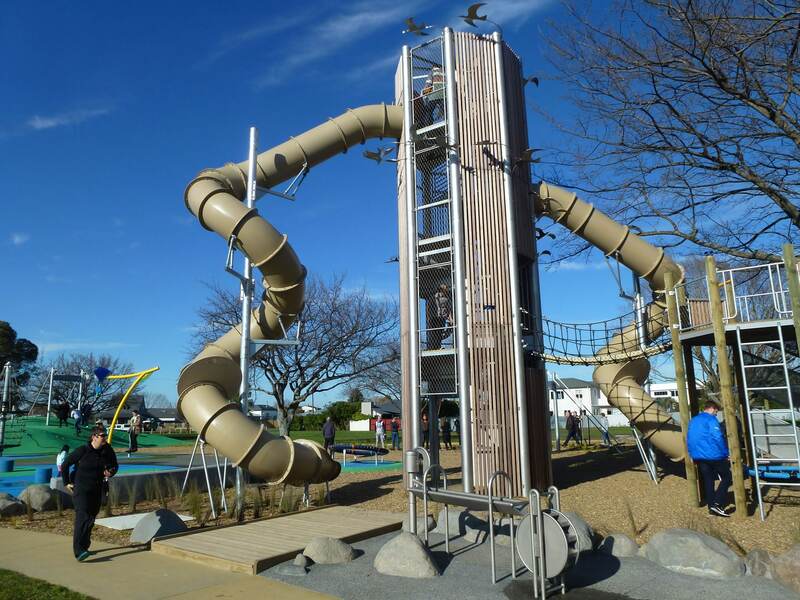 Customised Towers of varying heights with varying play experiences, fun talking tubes, climbing ropes and activities, a musical interactive bridge, a spinning carousel and rope tower, braille signs, tunnels, multiple swings and a super fun twin flying fox. 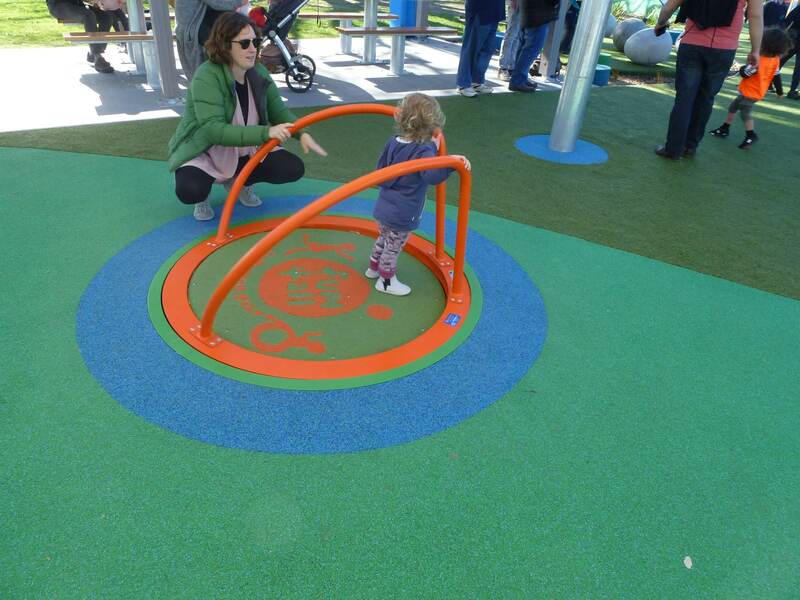 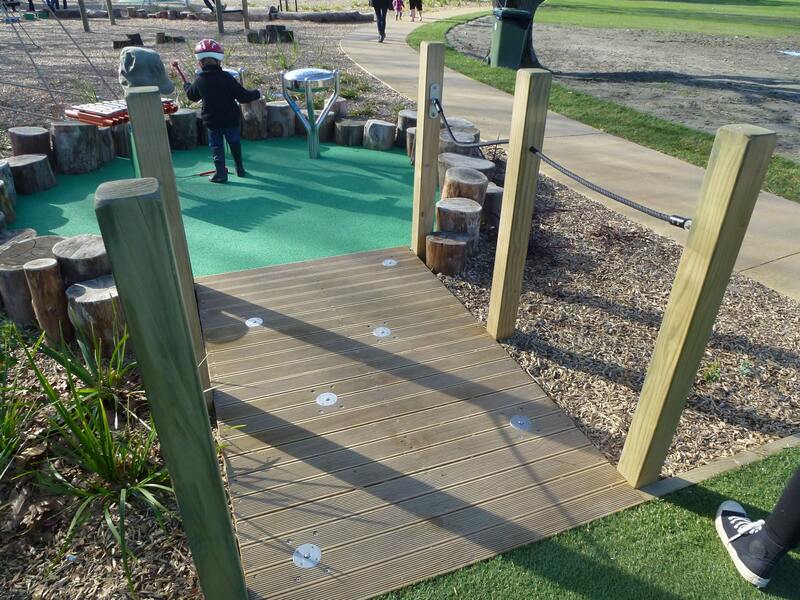 The focus was on creating a playground that catered for all ages and abilities. 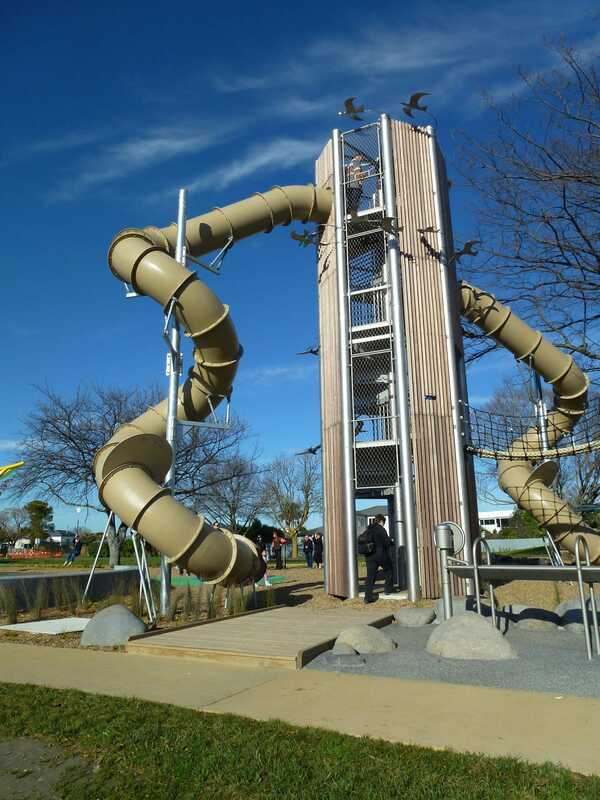 Including a mini-tower that's wheelchair-accessible via a ramp, as well as a double-width slide so caregivers can slide down with children. 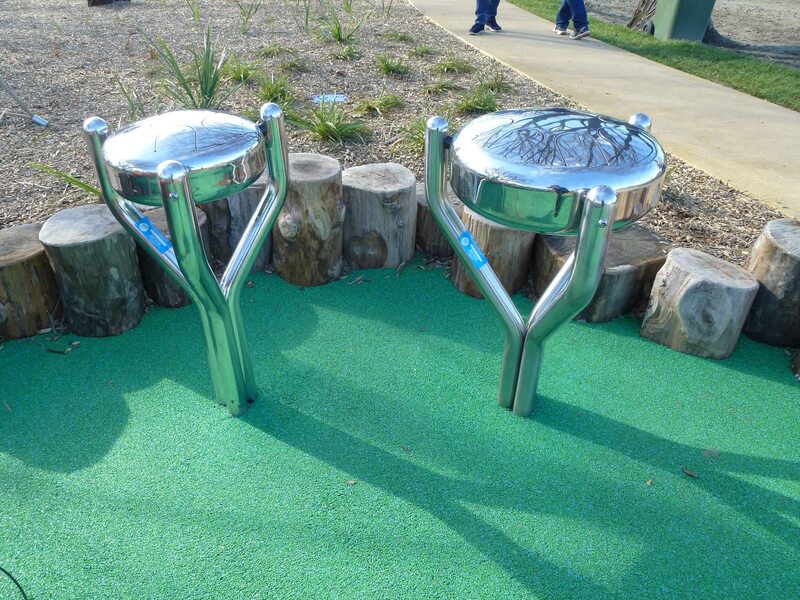 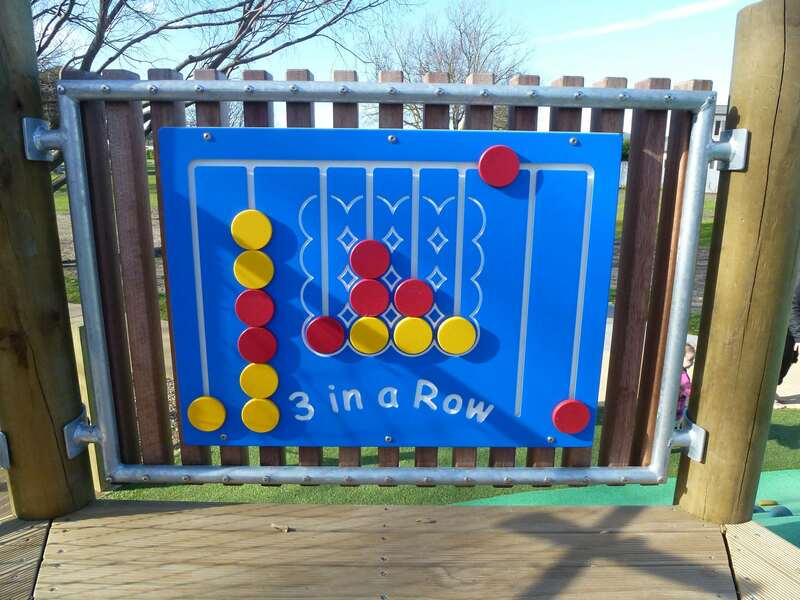 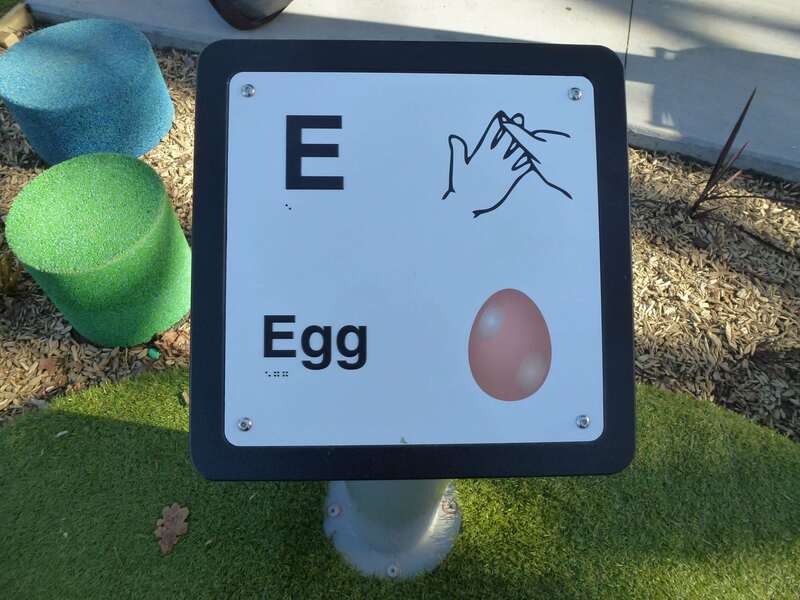 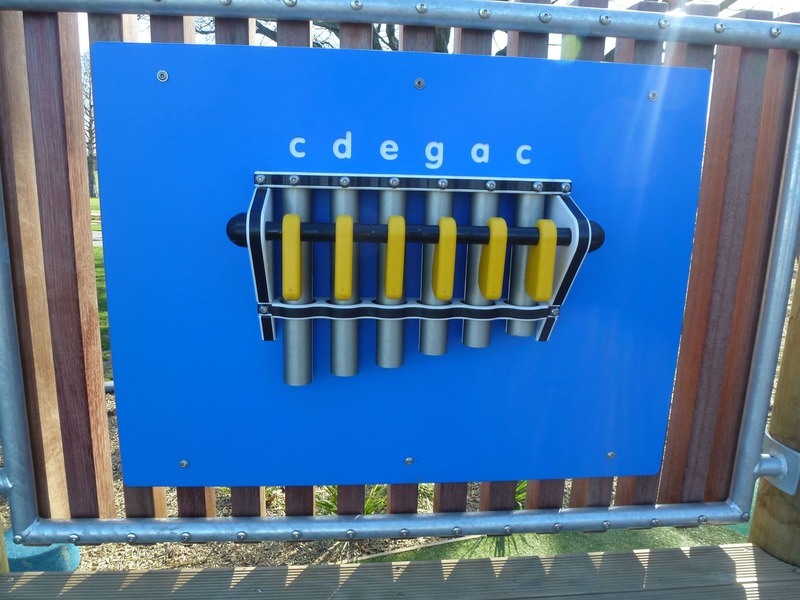 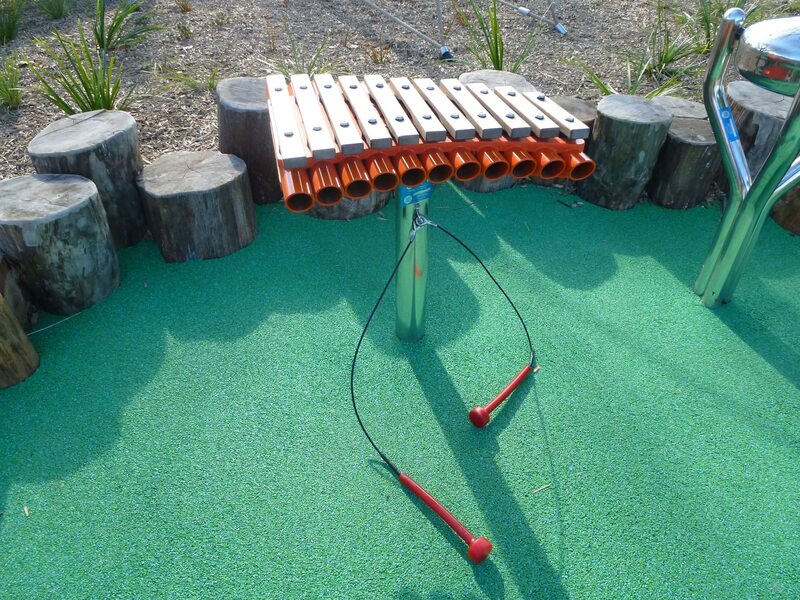 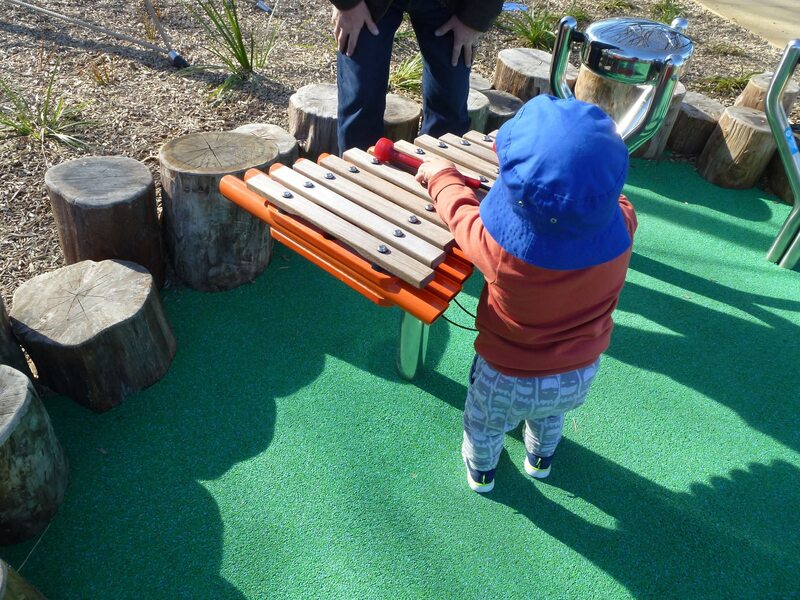 The playground also features artwork with messages in braille for the sight-impaired and a range of sensory equipment such as a large xylophone, musical bridge and drums.